Don’t let the many senior care options overwhelm you. There are so many senior care options available to you that sorting through them all can quickly become overwhelming, especially if you’re new to the process. And, whether you’re looking for yourself or a loved one, it’s a big decision, and it’s one that you want to make sure you get right. At A Right Place for Seniors, we understand just how confusing and overwhelming it can be to sort through all of the options available to you, and that’s why we’ve set out to make it a little easier for you with the following guide to senior care options. Homemaker services allow you to get the help you need with household tasks so that you can continue to live at home on your own. These household tasks include chores, such as cleaning the house, running errands and cooking meals, and the individuals who provide these services are generally known as companions or personal care assistants. The ideal candidate is anyone who can live safely at home and complete their activities of daily living, like bathing and getting dressed, but who may require some assistance with keeping up with the household chores. Because homemaker services are non-medical services, they aren’t usually covered by most private health insurance plans. In most cases, you’ll pay for homemaker services out of pocket, but other options may be available through some agencies. 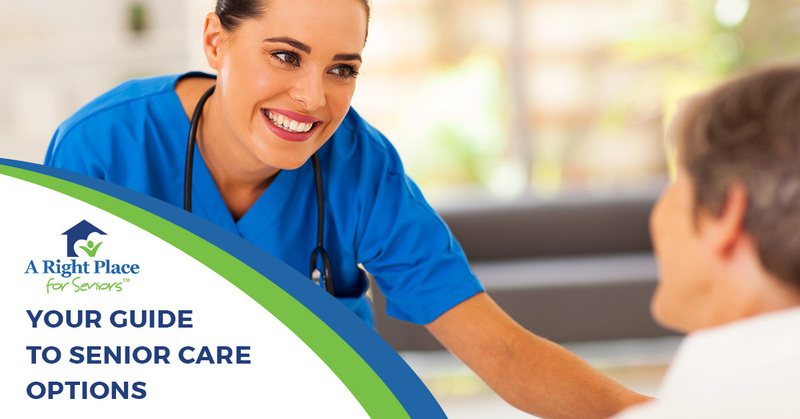 In-home care is a lot like homemaker services, because it’s care you receive in the comfort of your own home; however, with in-home care, you are able to receive a higher level of care. With in-home care, you could get assistance with activities of daily living, like dressing, bathing, eating, transferring, continence care and medication management, as well as assistance with household chores, like laundry, shopping and cooking. Anyone who can safely live at home for the majority of the time, but needs assistance with activities of daily living and household chores could be a candidate for in-home care. In most cases, in-home care is considered to be non-medical, in which case, payments will likely need to be made from out of pocket. However, some in-home care providers offer more extensive services and accept other payments options, which could include long-term care insurance, Veterans Aid and Assistance, IHSS or private pay out of the pocket. ADHC programs allow adults to get the care and the supervision they need during the day. These programs may provide personal assistance, meals, social interaction, medication management, therapeutic activities and more, and some also provide transportation both to and from the facility. There are essentially three basic ADHC models: social, medical and combination. If you are looking for care or supervision during the day, but you don’t require it on a full-time basis, then an ADHC program might be right for you. Most ADHC programs are private pay only; however, some of these programs are eligible for reimbursement by long-term care insurance and Medicaid/Medi-CAL, and some accept Veterans’ Administration benefits. Independent living communities allow residents to enjoy lots of social interaction and limited services in an apartment-like setting. These communities often have a shared dining room, where residents can take their meals and interact with their friends and neighbors. The services provided can vary from community to community, but in most cases, they include transportation, social activities, meals and basic housekeeping, though you are welcome to hire a personal care provider for any additional care you might need. Anyone who is active and looking for increased socialization, and who can still perform most or all of their activities of daily living without assistance could be a good fit. Retirement communities are also ideal for people who are looking for independence but do not want the responsibilities of taking care of their home. Because independent living communities do not offer medical care, most of them are private pay only. Assisted living communities provide an apartment-style setting, much like you would find in a retirement community, but they also offer assistance with activities of daily living, such as bathing, toileting, dressing, grooming, medication management and other non-medical services. In these communities, there are usually both private and semi-private rooms available, and they often provide outings and activities. Assisted living communities are ideal for people who have fewer health problems and don’t need many medical interventions or supervision, but could use assistance with activities of daily living and want more social interaction. Memory care communities are typically located in larger assisted living communities or nursing homes, and provide residents who have middle to late stages of dementia with a higher level of supervision and a safe place to live. These communities are typically secure, which means that you may need a specific code or key to get in and out, and they sometimes offer activities that are aimed at enhancing memory recall and reducing confusion. Anyone who has middle to late stages of dementia or another memory condition is an ideal candidate for a memory care facility. Because memory care communities are generally in bigger communities, like assisted living or nursing homes, payment options can vary. But, typically, most of these facilities will accept long-term care insurance and Veteran’s Aid and Assistance benefits, and some will also accept Medicaid or Medi-CAL. CCRCs are designed to meet the continuously changing needs of seniors by offering multiple levels of care within the same facility. Residents start out in the independent living part of the community and move to the next levels of care, which is assisted living and then nursing home, as their needs change. CCRCs are ideal for people who are currently independent but who want more options in case they need more care down the road. CCRCs often require an out-of-pocket entry fee, but your payment options generally depend on the level of care you are receiving. Some CCRCs can accept long-term care insurance, Medicaid and, in some cases, Medicare, though that’s not a long-term payment option. With so many choices available to you, it’s not always easy to find the right senior care option for your need, but, that’s exactly why the experienced senior living consultants at A Right Place for Seniors have set out to help. We offer senior placement services at no cost to you. Contact us today to get started.